Game Boy's 25th Anniversary: Who Exactly is Masayuki Kameyama? However, there are a few whose names have escaped history and are not often recognized for their works. One of these unsung heroes is Masayuki Kameyama, a man responsible for two original late era Game Boy games and one of Nintendo’s popular racing series. Kameyama’s name first appears in the credits of Earthbound Zero, or Mother as it is known in Japan, where he is credited as “Scenario Assistant.” The NES game was primed and ready for American release , but its localization never saw the light of day, being pulled at the last minute. From there he moved on to the negligible Game Boy game called Radar Mission, where he is listed as “staff.” It is an early battleship knockoff meant to be played with friends. 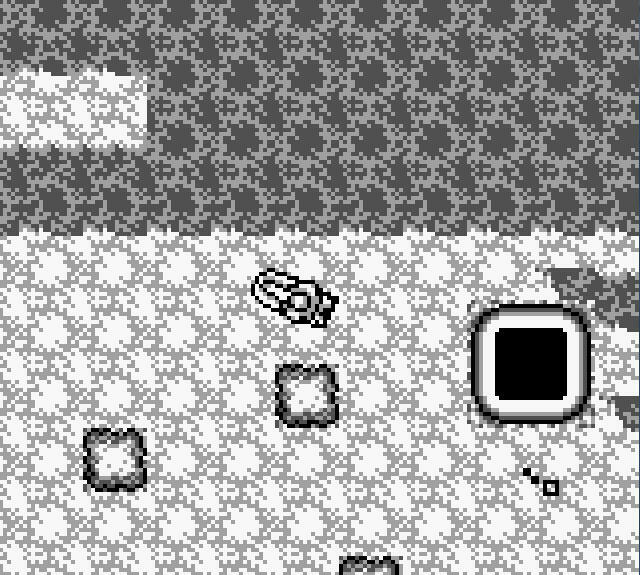 Its cinematic submarine and battleship combat really showed the power of the Game Boy for a 1990 game, and they seem a lot more relevant nowadays than it did at the time. Nintendo’s recent interest in aquatic warfare does have roots in its history. Apparently, his work caught on with a higher-up in the halls of Nintendo and impressed them enough to give him a chance to direct his own game, further involving the element of water. Most people will remember this horribly overlooked series from its break-out hit on the Nintendo 64, Wave Race 64, or maybe even the Gamecube game, Wave Race: Blue Storm. Both were widely praised for their use of water physics, which were phenomenal at the time, their weather effects, their cool sense of style, and the barebones fun racing experience they provided. 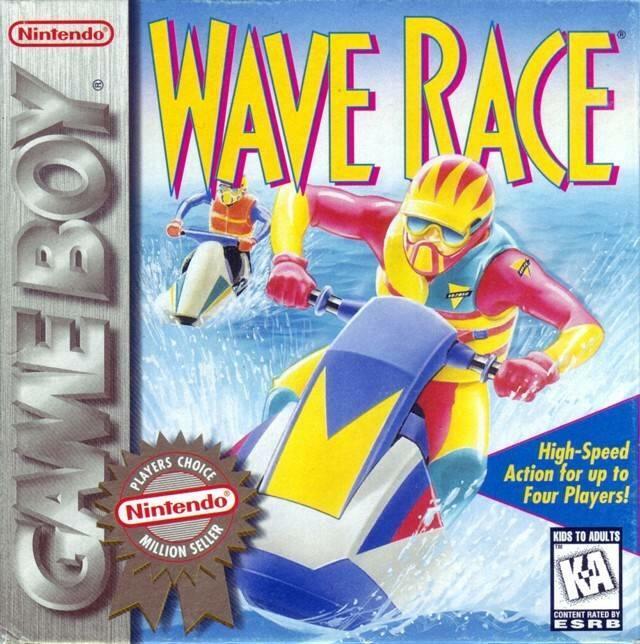 Not many realize that Wave Race got its start as an overhead racer on the Game Boy, but Kameyama’s debut as a director isn’t anything particularly special or groundbreaking. You control a jet ski and race around a track with competitors, similar to games like RC Pro Am. Its graphics flicker out of control when too many racers cram together on a single screen, and the slowdown proves that Nintendo hadn’t quite learned how to push the limits of the Game Boy just yet. No water physics and no special weather effects, and the best it had to offer to break the tedium were a few jumps and boosts. That’s about it, brief bits of almost fun in a flashy broken game. It’s relevant more because of the sequels it spawned on consoles, which Kameyama did not partake in. 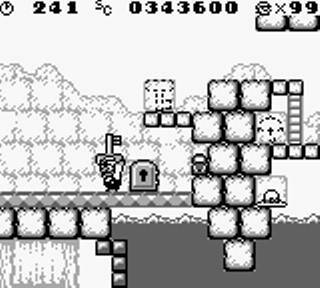 It’s in his second game that Kameyama rises to make his name on the Game Boy. 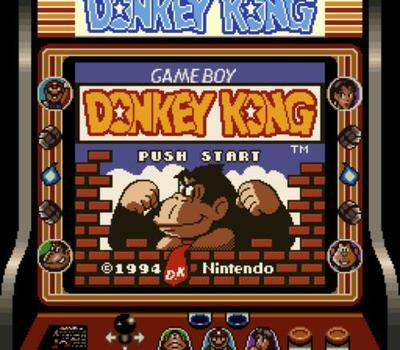 Donkey Kong for the Game Boy, lovingly called Donkey Kong ’94 by fans, was released as Nintendo’s first attempt to recreate Donkey Kong in a new light after his arcade roots had all but been forgotten. 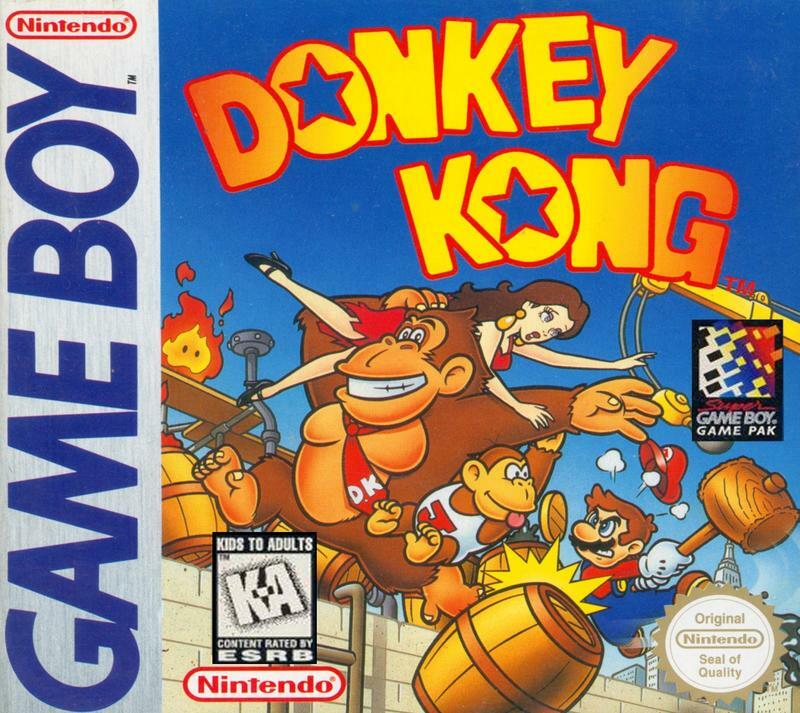 Overseen by Shigeru Miyamoto himself, Kameyama took what was intended to be a simple remake and made what is arguably the best Donkey Kong game in the series’ history. Everything starts off seemingly simple enough. Donkey Kong kidnaps Mario’s girlfriend Pauline, his significant other before Princess Peach, and it’s up the the plumber to rescue her. The first four levels play out like a straight up remake of the arcade original with Game Boy style graphics and the same level design. You beat the game and think you’ve completed the whole package, right? Congrats, back for more in an infinite loop of the same four levels. Wrong, after these first four levels, Donkey Kong ’94 breaks tradition and continues to carry Pauline through a wide array of new environments and about a hundred new levels, each more challenging than the one before. Mario must use his moveset to complete an endless stream of challenging puzzles, each bursting with bonus items, time challenges, and a lot of personality. Speaking of movesets, this game also features Mario at his most acrobatic in a 2D game. Of course he has the basic jump, but he also borrows from Super Mario Bros. 2 and can pick up objects over his head. More impressively though, he gains a unique ability to perform a handspring, standing on his head and leaping with his arms! Donkey Kong ’94 is a horribly overlooked game in Nintendo’s library. It’s not just another Donkey Kong game, and it’s even better than the Donkey Kong Country games which followed soon after. Kameyama’s theories come out in full in this game. With a limited moveset for Mario, he is still able to crank out dozens of genius levels for his game to unfold in. So much with so little. It’s a theory even seen today in brilliant platformers like Braid and Super Meat Boy, and he would carry it all into his next game, an original IP that crashed and burned on arrival thanks to these crazy monsters you can carry in your pocket. Kameyama’s last original game is not a platformer but rather a push-block puzzle game. Take a look at the release date. It’s pretty late in the Game Boy’s lifespan, and Pokemon was already dominating the free-time of every Japanese person in the country. Naturally, the game was not a hit, leaving many to wonder why Nintendo would possibly produce another one of these puzzle games with so many other options out there? For one thing, Nintendo hired Studio Ghibli artist Yoichi Kotabe to help flesh out the world of this puzzle game, giving it a much more approachable appearance that the rest of the characterless puzzle games on the Game Boy. At least its heart was in the game that it was able to hire such talent. 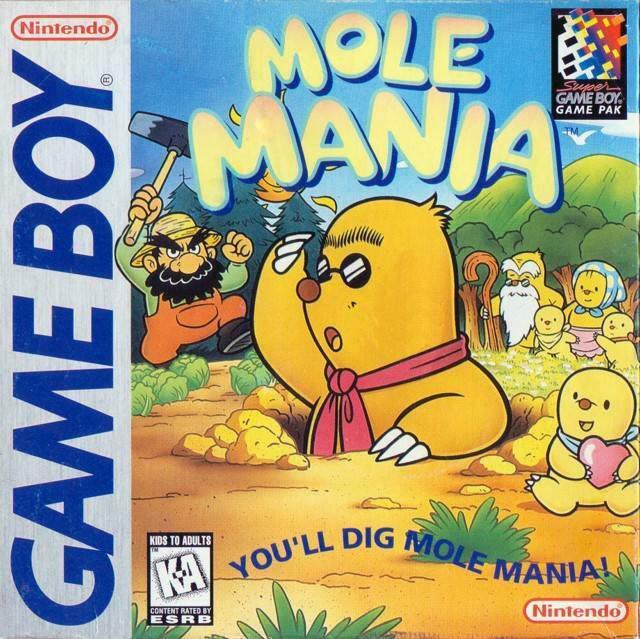 Using his “so much with so little” approach to gaming, Kameyama, overseen by Miyamoto once again, combined the cute art style to create another of the Game Boy’s most under-appreciated cult classics, Mole Mania. Our hero, Muddy the Mole, must rescue his family from the nasty farmer, Jinbe, who has kidnapped his children. 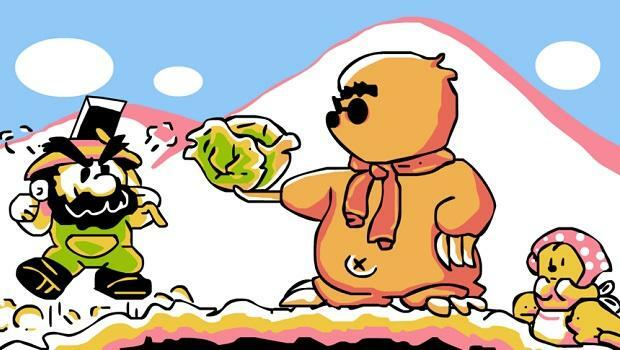 Of course, his children had it coming after stealing Jinbe’s vegetables, but Muddy is still enraged by this turn of events in their rivalry and sets off on a quest to reclaim his family. Muddy only has four moves, push, pull, toss and dig. 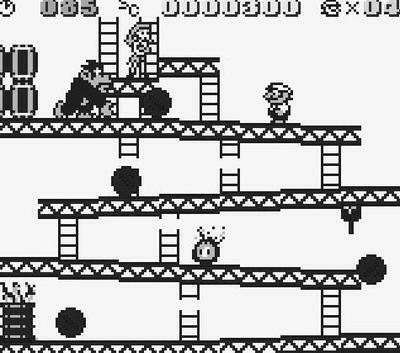 With that, he must align pipes, cannonballs, enemies, spikes, and all forms of obstacles to help him clear a path to the next stage. His dig ability allows him to cruise under the land, giving him a second plane to operate on. With these two mechanics, Kameyama again carves out hundreds of puzzles to overcome, and there are some seriously mind-bending challenges in this game. It would be wise to simply not scoff them off. Graphically, the game does a great job recreating Kotabe’s gorgeous art with nearly the fidelity of Link’s Awakening. Muddy is an adorable character, and his nagging father never fails to force a smile. Jinbe’s huge farm is absolutely ridiculous in scope with a beach theme, a factory theme, a castle theme, and even a snow theme. Who has a farm in the snow? Really? 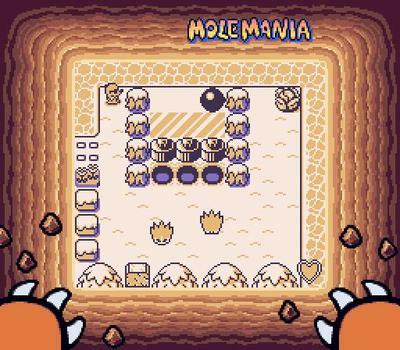 Mole Mania is a wonderful little gem that any Nintendo fan should check out. Challenging puzzles, excellent art direction, bleeding with a great sense of character. 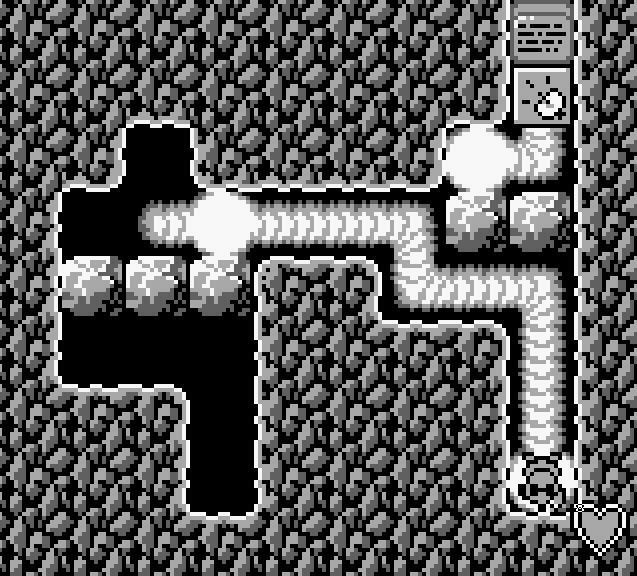 Game Boy puzzle games are a dime a dozen, but genius design like this really makes it stand out like a diamond in the rough. On a more personal note, I was first turned onto this game in my first issue of Nintendo Power, Volume 93, and its art left a huge impression on me as the first time I consciously ran into this strange style called “anime.” I promised to hunt it down, and once I did, it also became the first game I ever professionally covered in a video game publication. My write-up is still out there after all these years. Needless to say, it’s not my favorite game, but it inspired me in ways well beyond simply playing games. After two great Game Boy games, Masayuki Kameyama hasn’t turned up with anything original to his name. It’s like he vanished from the company without a trace. I can’t even find a legitimate picture of him to post. The only other game I can find his name on the credits for is as the director of Donkey Kong GB: Dinky Kong & Dixie Kong, but I’m fairly certain that is a Gamefaqs typo. Rare handled the Donkey Kong Country games in England, far from the reaches of Nintendo’s Japanese office. Why did Kameyama’s career as a director not work out, though? Despite making two really fun games, neither was enough of a financial hit to grant him the leadership chair ever again. Donkey kong ’94 and Mole Mania were lost in the console market jumps into 3D gaming and Pokemania, and all we can do is go back and appreciate his two games retroactively. Hopefully, this article can bring him a little bit of the recognition he deserves. Luckily, unlike the Final Fantasy games, both are available cheaply on the Nintendo 3DS eShop Virtual Console. Mole Mania is a $3 purchase, and Donkey Kong ’94 there for $4, both a steal for the amount of game you are getting. Both were also released late in the Game Boy’s life, and they received extra special treatment from the Super Game Boy with far more gorgeous color than the Game Boy Color could provide. The physical carts are worth hunting down for that alone.